Meet our leadership team. Learn how they can help your campaigns succeed, and your business grow. Julie is an influential and dynamic leader who possesses a unique ability to make every person she meets feel like they can conquer the world. Maybe that’s the reason she achieved Number One session from over 700 at the Microsoft Worldwide Partner Conference and has welcomed Satya Nadella to the stage? Julie believes that each of us have a special contribution to make and applies every ounce of experience she has to draw that out of people. Always exuding high levels of professional energy, enthusiasm and humour, Julie is a visionary leader that is extremely well respected throughout the technology industry across the world. She thinks fast, works hard and consistently surprises and delights our organisation and customers with her drive and determination to make great things happen. Sarah leads the ResourceiT organisation from the front. By applying her considerable channel marketing skills and people-management experience, she brings a refreshing ‘let’s do this’ attitude to every single task – no matter how strategic or tactical. Following a 12-year progressive career at Jabra culminating in Global lead for the Channel & Retail Marketing, and previous senior roles at Toshiba, Nortel and 3Com, Sarah joined ResourceiT to lead all teams and resources at a Senior level. 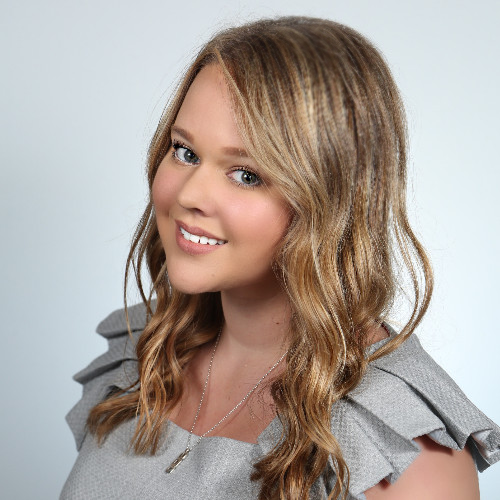 Highly focussed on client retention by delivering exceptional results, Sarah consistently strives for excellence as she combines visionary ideas with strategic marketing consulting. Previous employees, partners and clients tell us every day how lucky we are to have Sarah – as if we didn’t know. When it comes to digital and creative input no-one moves faster than Tory. With an exceptional ability to quickly and effectively execute digital and social media, Tory is 100% focussed on successful engagement and tangible outcomes. She leads her fabulous team to be consistently innovating, learning and growing and will take on any task no matter how big or how tight the deadline. Rest assured - Tory will not be beaten. Varied experience gained in intense and fast-paced roles such as Marketing Manager at Avnet and Global Social Media Manager at Snow Software, Tory has a breadth of skill and knowledge that most millennials don’t have. This means our clients benefit from her leading-edge digital knowledge and skills and her business acumen. It’s rare – and it’s awesome. When it comes to ensuring a business is in good health, no-one is more dedicated than a Chief Operations Officer, and Mick is no exception to that rule. With a considerable number of years of experience to draw from, in a variety of senior roles in organisations of all shapes and sizes, Mick has responsibility for everything that keeps ResourceiT a strong and viable organisation. With a keen eye for detail when it comes to contractual terms, to ensuring we get the best possible assistance from our fantastic technical support partner, to making sure we pay (and get paid) on time, Mick does all that he can to ensure all at ResourceiT is just tickety-boo. Joining ResourceiT from SlipStream in 2011, Becky is a Director and Shareholder of the business and has worked closely with the CEO and COO to help drive the growth and success of the organisation. With a particular penchant for helping to maintain our extremely successful relationship with Microsoft and a number of other strategic clients, Becky just loves to be innovating, building relationships, contributing creatively to the emergence of new programmes and services and generally adding strategic value to ResourceiT in any way she can. Becky is currently enjoying being a Mum and we very much hope to be welcoming her back soon. Everyone at ResourceiT loves our Cheryl. As the person that balances the books, and ensures our clients delivery matches exactly what it should, Cheryl is an intrinsic part of the business. 100% dedicated to delivering and maintaining accounting accuracy (both internally and externally), Cheryl will always go over and above and can often be seen brandishing her trusty calculator, day or night. A whizz with Sage, a master of Excel, and a dedicated book-keeper who will put her hand-up to help whoever may need it, our Cheryl is the gold in the ResourceiT hills. What would we do without her? (We don’t want to even think about that).